The McCarthy reference in particular forced me to consider Kramer’s film in the context of Donald Trump’s presidency. Although society has come a long way since 1925, today, the policies and views of Mr. Trump are as bigoted, irrational, and unscientific as those who fought to block evolution from schools nearly a century ago. Even as Trump has successfully co-opted the language of the McCarthy scare — to cast himself as a victim of a witch hunt — the real crusade has been the one Trump himself has launched against common sense, moral decency, and science. According to the organization, “although Mr. Moore played a significant role in Greenpeace Canada for several years, he did not found Greenpeace…Phil Cotes, Irving Stowe, and John Bohlen founded Greenpeace in 1970…and the group eventually voted Mr. Moore out of leadership roles and he left the organization in 1986.” Furthermore, Moore is a member of the C02 coalition, a nonprofit group that contends carbon emissions are not bad for the environment. Mass killings fueled by hate, the reemergence of fascism across Europe, and the populist movement behind Trump’s rise to power, are all clear examples of this threat. It may not be in Trump’s self-interest to rebuke these movements — after all he is indebted to them — but he is telling a lie to the American people when he says it is just a small group of fanatics. 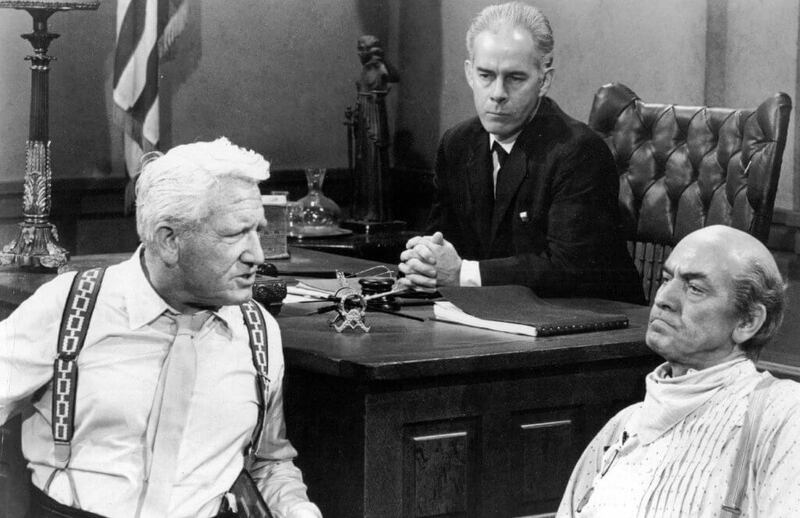 Because we live in an era when Truth itself is under assault, I am very glad that the Dryden is showing Inherit the Wind. As with the Scopes Monkey Trial, in the Trump era, we are all willing and unwilling participants in a supreme trial. Today, like in the courtrooms and schools of our nation in 1925, the very concepts of truth and falsehood are being waged in a mighty battle for the soul of our country.